It’s not an easy decision, which means you want to make sure it pays off. Your website – with the right design and search engine optimised (SEO) content – is more than just an online business card. It’s where people go to connect with you and your creative work (aka your creative rebel brand). What can SEO website copywriting do for you? You might have a fresh, unique style that you know people love but the true secret to making them fall in love with your work (and give you what it’s worth) is to share your why (your reason for doing what you do) and then getting it in front of the right people. This is where creative SEO website copywriting comes in. Remember those elusive, perfect clients that understand your creative passion, love you for it and then pay you what it’s worth? Never met one? That’s okay. They are elusive beasts and from what I hear, can be a tad skittish. Taming them is easier than you think. As an expert SEO copywriter, I will write content that demonstrates to those clients that you know who they are, and that what you’ve created has been made especially for them. I’ll find the right keywords (ones that don’t just provide traffic, they bring those unicorns to you) and I’ll optimise your content. I’ll also help you ensure that all your web pages are optimised behind-the-scenes as well. Writing content for websites requires specialist SEO knowledge. And believe it or not, there are still many copywriters out there who write website content, but aren’t trained in SEO. It’s one thing to have a well-written, compelling website, but if it’s not written with the Google gods in mind, your website will get lost amongst the billions out there. Don’t trust your rebel brand with just any writer. Get someone who understands SEO website copywriting. Head to my Prices page to get a ball-park on cost or contact me for more info. Ali is a skilled SEO copywriter who is a delight to work with. Ali has an incredible ability to pick up on exactly what is needed and to craft engaging and easy to read copy. Ali worked swiftly to meet my deadline and I’m thrilled with the outcome. As a creative rebel, I know how important it is that your website attracts the right clients. So, I wanted to make sure the words I write for other rebels – really make a difference to their brand. 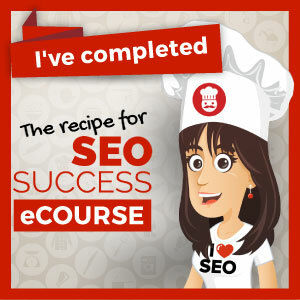 I’ve trained under one of the best SEO gurus (Kate Toon, Copywriter and Head Chef at The Recipe for SEO Success) alongside some of the best SEO writers in the country. Now you benefit from my up-to-date, on-page and technical behind-the-scenes SEO knowledge. You can be sure that you’ll get the best advice to create a website that works for you (even when you’re not there), and I’ll even show you how to measure your success. Then if you’re feeling a bit tech-savvy, I can help you develop an ongoing SEO strategy, so that your content marketing is optimised for ongoing success. Boo-yah!